DeviantArt user Saddayscrochet made this for her brother. 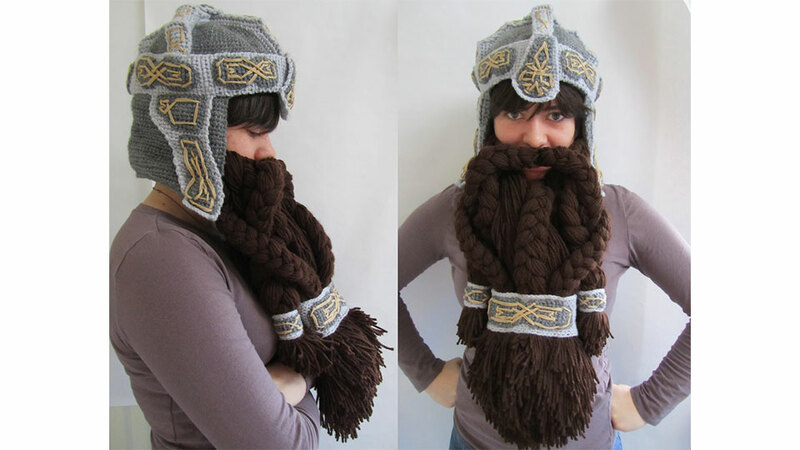 It's an all-in-one dwarf helmet-and-beard combo, based on Gimli's noggin from the Lord of the Rings movies. It's a shame you can't buy it, because it sounds luxurious. There's a fleece interior inside the "helmet", which you can disconnect the beard if you need to walk into a bank and you see a security guard reaching for his gun.